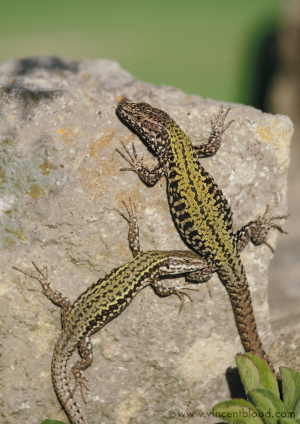 Observation - Wall Lizards - UK and Ireland. Description: European Wall Lizards near seafront at Boscombe. Thought to have been released in several areas in the UK as unwanted pets, this species has gained a foothold. It threatens the Sand Lizard population by carrying a virus. European Wall Lizards near seafront at Boscombe. Thought to have been released in several areas in the UK as unwanted pets, this species has gained a foothold. It threatens the Sand Lizard population by carrying a virus.